The Peoples Democratic Party says all issues raised by former President Olusegun Obasanjo, in respect of the party, have been extensively addressed by its newly refocused and re-positioned leadership. The party gave the assurance in a statement issued by its National Publicity Secretary, Mr. Kola Ologbondiyan in Abuja. These reforms, according to him, include the full entrenchment of internal democracy, all-inclusiveness and re-engineered mechanisms for good governance. “In the last five months since the coming of the new leadership under Prince Uche Secondus, the PDP had undergone extensive re-engineering in direct responses to suggestions, criticisms and wide range of constructive counsels from Nigerians across board. “The transparent processes leading to the peaceful conduct of an open, credible, free and fair governorship primary in Ekiti State. He added that the reconciliatory efforts of the Governor Seriake Dickson-led committee, and other efforts at rebuilding the party through its contact and integration committee, were already yielding results. 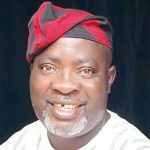 “Today, the repositioned PDP remains the best channel for the coalition of true democrats, who are desirous of removing the incompetent Buhari Presidency from Aso Rock, through the ballot, come 2019,” Ologbondiyan said. News Agency of Nigeria recalls that Obasanjo recently said that neither the ruling All Progressives Congress nor the PDP has the capacity to rescue Nigeria from the present political and socio-economic challenges.